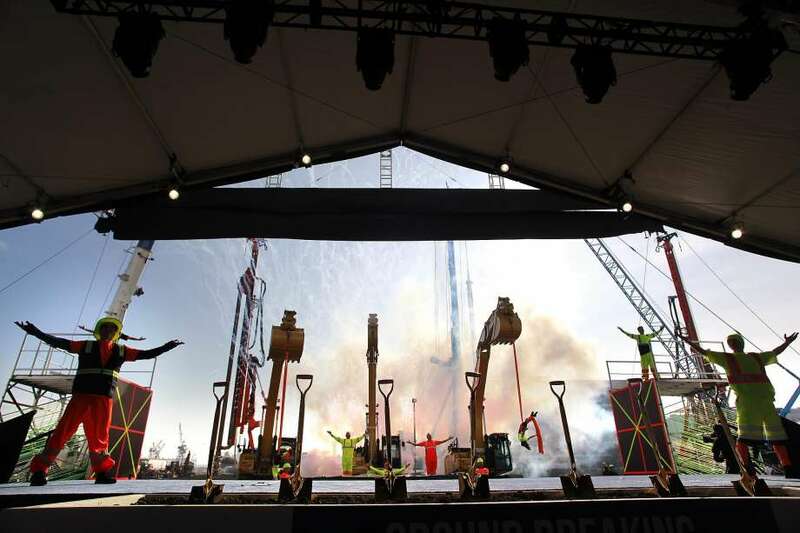 SAN FRANCISCO – The Golden State Warriors broke ground in San Francisco on Monday afternoon at the future site of the Chase Center. The ceremony included speeches from San Francisco Mayor Edwin M. Lee, Owners Joe Lacob and Peter Gruber, Steve Kerr and Kevin Durant. The ceremony lasted around an hour and a half, and ended with a very unexpected performance by a team of acrobats wearing high visibility construction garb.